KWF is not your ordinary cancer foundation. Nope. Not at all. Their focus is on FUN. Fun NOW, to be specific. They put FUN on the calendars of women and families LIVING with breast cancer – women with calendars full of chemo and radiation treatments, doctors’ appointments, tests, treatments and worries. Not-fun-stuff. Their Recipients are special ladies and families who are not done LIVING yet. KWF sends them on family vacations, and provides relaxing spa days, dinners out, concerts, road trips and other FUN-ONLY activities . 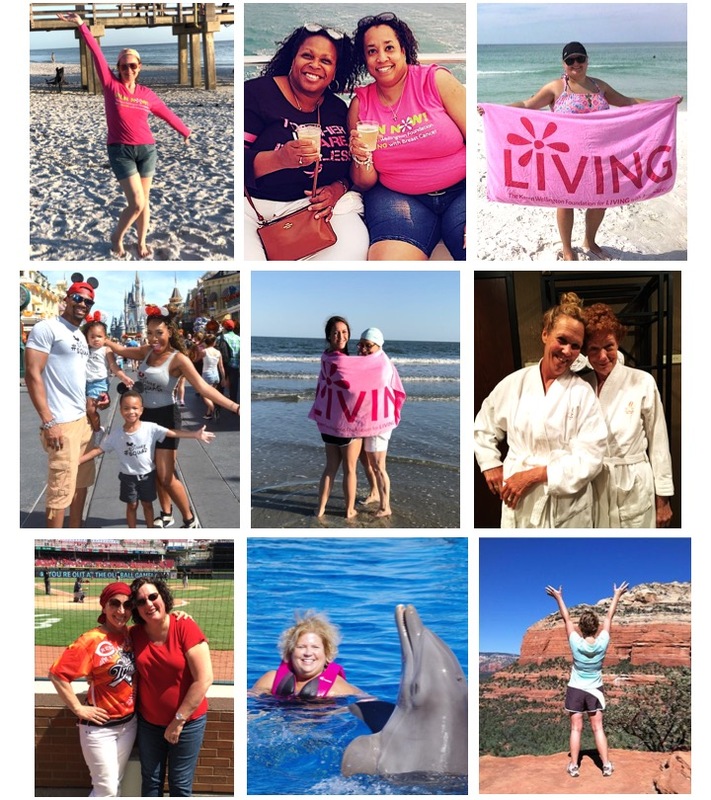 What started as Karen's dream to send one family each year on a special vacation once she beat cancer has blossomed! Over the past ten years KWF has sent more than 465! special ladies on important vacations, provided more than 225 spa days and countless other crazy gifts of FUN. In 2018 alone, they sent 102 families on vacation and provided 63 spa days! They hope to do even more in 2019.